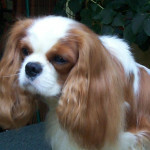 Unfortunately cavaliers have a lot of health problems. Researchers need the help of cavalier owners if they are to find out more about the causes of inherited diseases and improve the treatments available for dogs in pain. The best way that true cavalier lovers can help is to volunteer their pets to take part in the various research projects that are taking place in the UK. 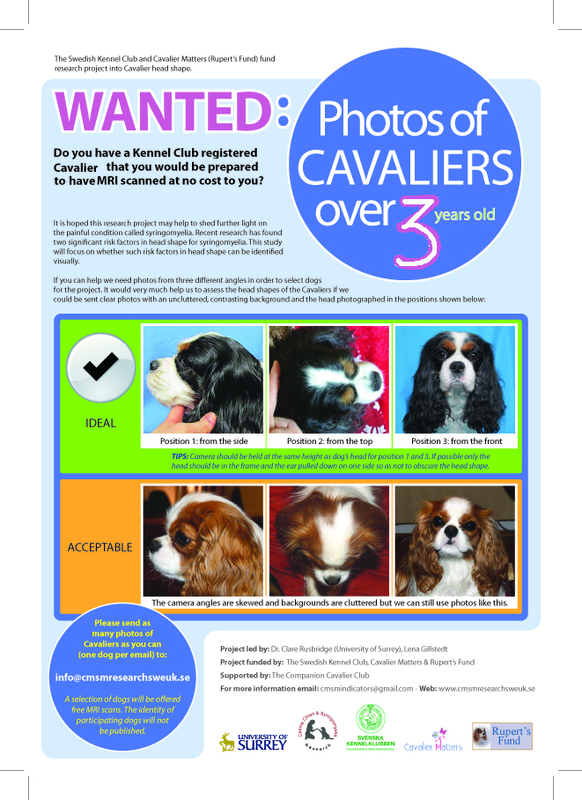 DO YOU HAVE A KENNEL CLUB REGISTERED CAVALIERS OVER 5 YEARS OLD? IF SO, WILL YOU HELP? 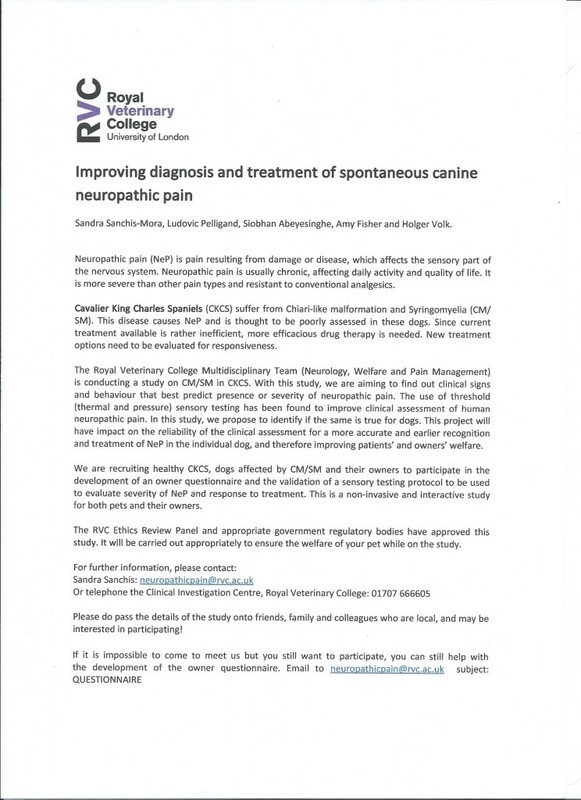 If you have a cavalier with MVD please consider helping with this study………..
MRI scans of cavaliers are of the greatest importance to CMSM research but it must be possible to compare one result against another. The results all need to be graded according to the same criteria. The Companion Club has set up their Health Fund to encourage members to help cavalier health research by submitting their scans to the official grading scheme set up by the British Veterinary Association and the Kennel Club. Any member who has paid their current subscription and is planning a low cost MRI or who has an existing MRI that is suitable for submission to the BVA/KC CMSM Scheme can apply for a £100 voucher which will be redeemed when that member supplies us with a copy of the official lilac result certificate. 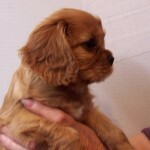 The voucher is available for a named cavalier only and will be valid for 6 months from the date of issue. 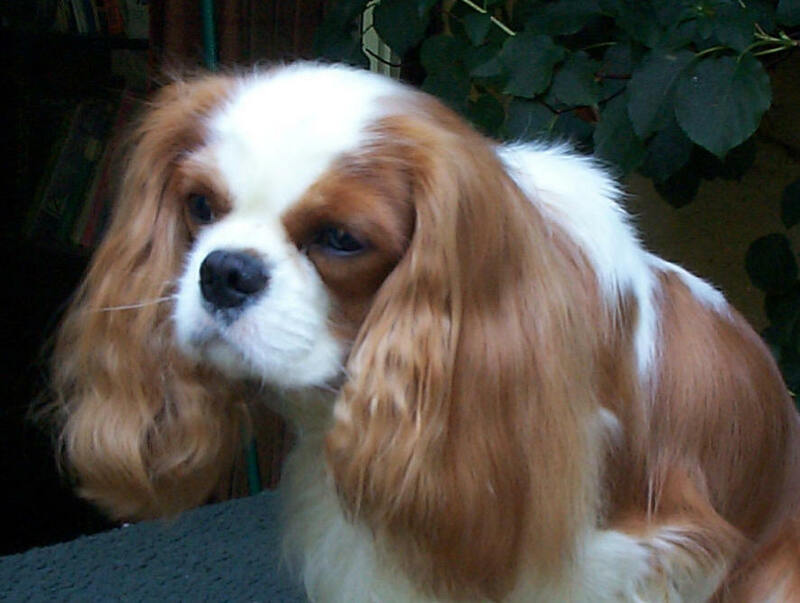 Priority will be given to members who are scanning their cavalier prior to breeding from them in accordance with the Cavalier Club Breeding Protocol (ie not before the age of two and a half years). We cannot reimburse anyone who has had their cavalier graded through the BVA/KC Scheme prior to the official start date of the Club’s Scheme. Free Rupert’s Fund scans will be eligible if not already submitted for official grading through RF. 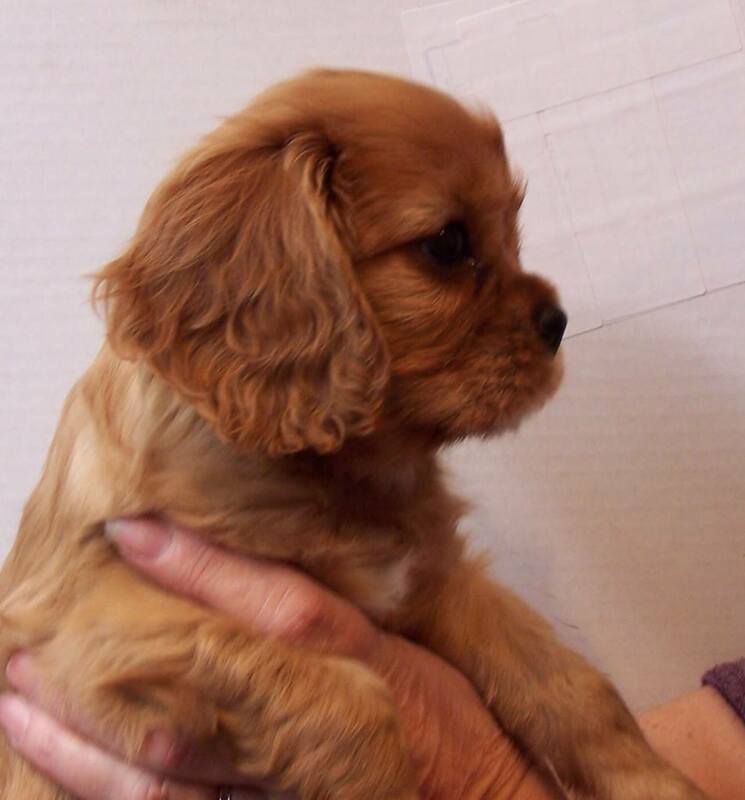 Applicants for vouchers should submit their name and the name and age of their dog to the Companion Cavalier Club Health Representative, Margaret Carter: mareve-ckcs@nullntlworld.com and their request will be considered as soon as possible by the Committee, whose decision will be final.